A brightly colored, touchy-feely book for babies. Press the buttons to hear the musical sound clips which have been specially composed to evoke the sounds of steam trains. 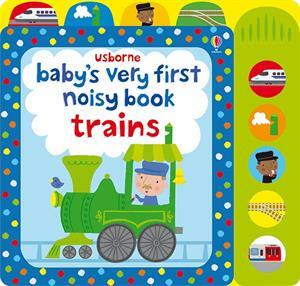 Delightful to share, this book will engage even a tiny baby's attention and as they grow, babies will love to press the sound buttons themselves. Board book, 9 x 8 1/2”, all-color photos, 10 pages. For infants or children in preschool.